Last season, the slow rebuild of Pitt women’s volleyball program came to a head when the team made its first NCAA Tournament since 2004. With many key players returning, it’s now time for this year’s team to step up and solidify their place among the ACC’s best. Heading into last season, a young, untested Panther volleyball team was just looking to get over the loss of a strong senior class. But they did much more than that, exceeding all expectations and finishing the year with a 25-9 record. They proved they could compete with the best, and this year, the team is poised to continue moving forward. Sophomore Nika Markovic, redshirt sophomore Stephanie Williams and senior Mariah Bell have shown they can produce at a top level, each averaging over two kills per set in 2016. The feat was especially monumental for Williams, who was coming off an injury which forced her to redshirt the 2015 season. After playing with each other for much of the past year, this three-headed monster of outside hitters has the experience to lead the Panthers back to the NCAA Tournament. 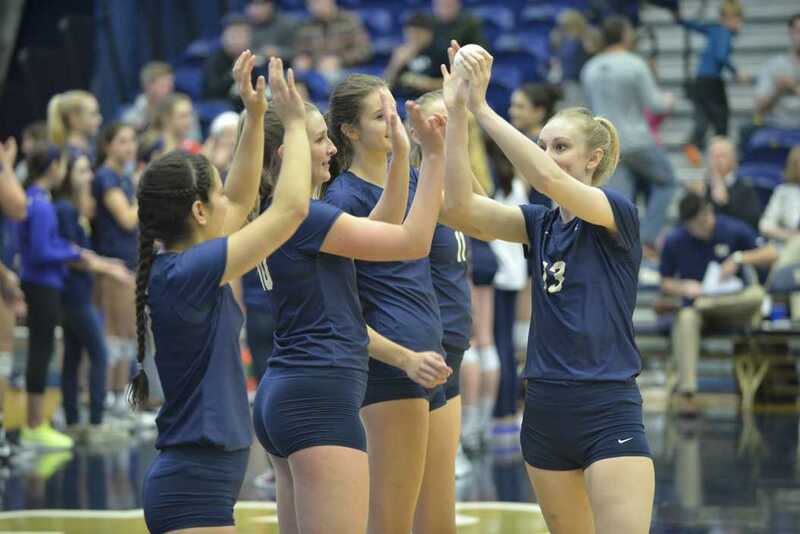 In fact, the team made the tournament last season mainly due to a late-season run in which the team won 10 of 11 matches — the only part of the season in which the three were on the court at the same time. Having them together for an entire season could spell trouble for the rest of the ACC. On the defensive side, the loss of senior Jenna Potts — the school record holder in blocks — will be tough. Not only did she contribute both offensively and defensively, but she was a source of constant energy and experience on the court. Besides this, Kelsey O’Neill, another middle hitter with significant playing time, transferred to Iowa for her senior season. To fill the role, head coach Dan Fisher recruited senior middle hitter Alex Rosignol, a transfer from Southern Illinois University. In the 2016 season, Rosignol — who started 10 or more games in each of her three years with the Salukis — ranked third in the Missouri Valley Conference with a .376 hitting percentage and second with 1.14 blocks per set. She will join another standout middle hitter, sophomore Layne Van Buskirk, in middle of the floor this fall. After earning 2016 All-ACC Freshman Team honors, Van Buskirk will look to take the next step with the help of Rosignol. Elsewhere on the court, the Panthers may have the best libero/setter combination in the ACC with redshirt junior Angela Seman and junior Kamalani Akeo, respectively. As the two players mainly responsible for digging opponent shots and setting the Panthers’ attacking players, their roles cannot be understated. In her second season with the Panthers, Akeo excelled and won ACC Setter of the Year. Seman is entering her third year as a starter, coming off of a season where she wracked up close to 500 digs at libero. In addition to the immensely talented veterans, a crop of young players and two highly touted recruits — California native Kayla Lund and Texas product Chinaza Ndee — will push for playing time as well. “These two young ladies are possibly the most decorated recruits we have gotten in my time here in Pittsburgh,” Fisher said last fall. Lund, an outside hitter and Third-Team AVCA Under Armour Girls High School All-American, highlights the two incoming Panthers while Ndee is expected to make a big impact as well, being listed as an honorable mention. These two recruits join a roster filled with young and talented returning players which should create competitive battles for playing time during the upcoming season. Looking at the team’s ACC picture, the Panthers finished fourth last season with a conference record of 15-5. They could have a chance to move up this year because of the turnover facing Georgia Tech, Florida State and North Carolina, the three teams that finished ahead of them. Georgia Tech and North Carolina both lost five seniors from last season, and Florida State isn’t in much better shape, having lost four. Each of these teams is still immensely talented, but this changeover — combined with Pitt’s experience and recruits — could give the Panthers an opportunity to climb through the ranks of the ACC’s elite. Right now, the team is about one month away from taking the floor at the Fitzgerald Field House. The annual Blue-Gold Scrimmage is August 19th at 1 p.m before the team travels to Seattle to take part in the Washington Tournament one week later. There, they’ll take on Washington, Creighton and St. Mary’s hoping to come back east with a good start to the year. Coming off a surprisingly successful 2016 season, things seem to be looking up for the Panther volleyball team as they head into 2017. A trip back to the NCAA Tournament should absolutely be expected, and a deep run would make the season all the more meaningful.